The Senate advances a resolution that would end the United States’ military’s support of the Saudi Arabian bombing campaign in Yemen despite the Trump Administration lobbying against the bill. The Trump administration tried to dissuade Republicans from backing the bill by sending Defense Secretary James Mattis and Secretary of State Mike Pompeo to Capitol Hill and issuing a veto threat but the Senate advanced the resolution by a 63-37 vote, The Washington Post reports. The vote advances the bill out of the Foreign Relations Committee for a full Senate vote. 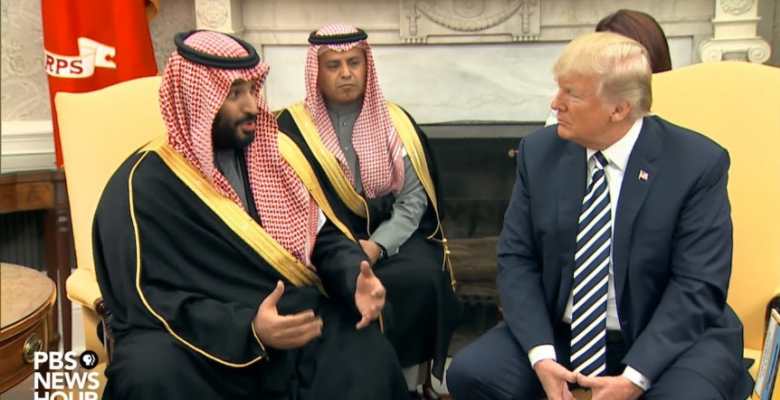 The move comes as President Trump has sided with Saudi Arabia in their implausible attempt to cover up the killing of Washington Post columnist Jamal Khashoggi. Trump-defender Lindsay Graham rips administration response to Saudi Arabia: Graham was one of 19 Republicans who voted for the bill after opposing it in March.